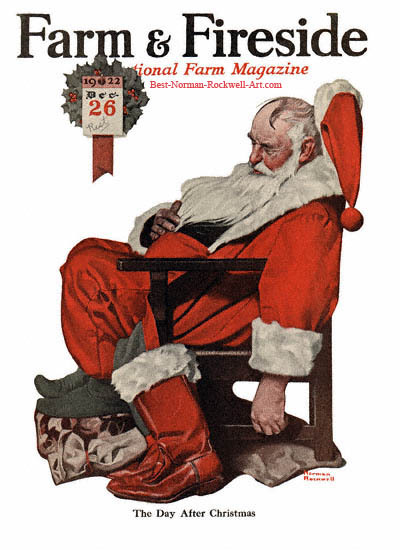 We are post-Christmas, and still (by about one day) pre-New Year. Hence, Holiday Limbo! Life has been good in Harrisonburg, even though the weather has been too warm for the season and for my liking. We spent Christmas with my family in Harrisonburg, and recently spent a great day in Charlottesville checking out the local shops, ice skating downtown, and seeing a movie (Sherlock Holmes; the second one is great!). I have officially switched from working as a lifeguard to working with the ski patrol as an aid room attendant. I actually see more trauma in the ski patrol aid room than I’ve seen in my time as a firefighter/EMT, so its great experience. Plus, I’m actually looking forward to going to work again, though the warm weather has made me a little nervous; there is nothing more nerve-wracking for an individual who’s paycheck depends on snow than warm weather! We had a cold night on Wednesday, and the resort was able to make snow, so we should be able to keep limping along. Hopefully it will actually become winter soon! Bean continues to grow, and has begun to make him/herself known. Bean has begun an energetic kicking campaign, especially when Melissa is trying to sleep or sit quietly. I even got to feel it! It made me very happy! We go to the doctor for the first ultrasound this coming week. There haven’t been many outdoor adventures lately; I’ve been quite busy at work, and my free time (and gas money) have been limited. As soon as that changes, I will be sure to update. 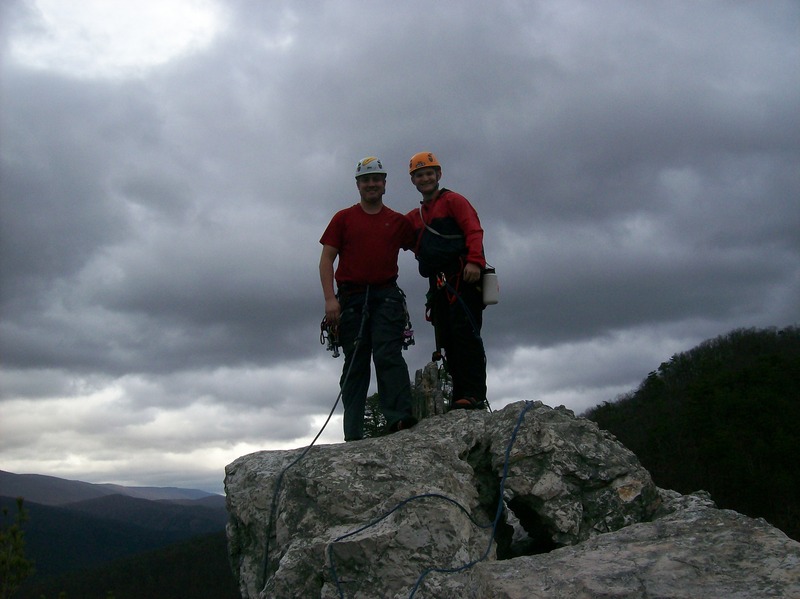 Social Media on the Crags? When I logged into Facebook today, I was interested to see that several organizations/individuals I follow (National Geographic, International Mountain Equipment, Inc., and Tommy Caldwell) had linked to an article that appeared on the New York Times website yesterday. The subject of the article is the impact of social media, like Facebook, on the sport of climbing. I’ve reproduced the article below, but you can also read it here. All photos are from the news story. Tommy Caldwell climbing El Capitan. Caldwell updated his progress on Facebook using his iPhone. Photo by Brett Lowell, and taken from NY Times Article. Last month the climber Tommy Caldwell lived on a nylon ledge hung 1,200 feet up El Capitan, the massive sweep of granite that stands sentinel over Yosemite Valley, for more than two weeks. One of the world’s best all-around rock climbers, Caldwell slept on the ledge, cooked on the ledge and went to the bathroom into a receptacle hanging below the ledge. And at the top of this solitary, silent sport, he was being watched by thousands of spectators around the world. Caldwell updated his progress on Facebookusing his iPhone, which he charged with portable solar panels. His fans, a group that grew to more than 4,000 during his climb, could follow along in real time with commentary from the climber himself. No need to wait days, weeks or months for a print article or video. The Dawn Wall, as Caldwell’s project is known, is the latest example of what has become an increasingly accepted practice among professional climbers and in the wider climbing community: from-the-route social media. 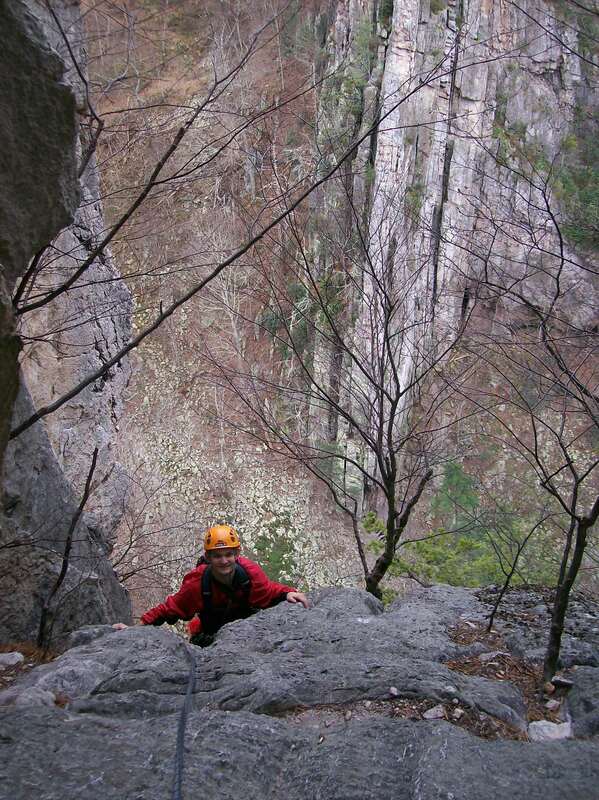 Observers enjoy it, sponsors encourage it and climbers get to share what is inherently a selfish pursuit. But a vocal minority questions what happens to a sport whose ideals of purity are traditionally based on adventure, commitment, self-sufficiency and individual achievement when online interaction happens instantly. On his recent climb on El Capitan, Caldwell battled fatigue and the impending winter on what will be considered the hardest big wall free climb in the world (free as in free of aid; he used a rope and protection in case of falls, but only his hands and feet to go up). Driving home to Estes Park, Colo., Caldwell, 33, said the route did feel different from others. “This is a whole new world,” he added. As soon as mountaineering was considered a recreational activity, climbers began reporting their feats in one form or another. In 1336, the wandering Italian poet Petrarch wrote an account of his long walk up Mont Ventoux in France. By 1953, sponsors of expeditions wanted news quickly. On the first ascent of Mount Everest by Edmund Hillary and Tenzing Norgay, a reporter was on the expedition, eager to report success to the Crown, which wanted the update — that a subject of the British Empire had conquered the highest summit in the world — before the coronation of Queen Elizabeth II. By the late 1990s, satellite linkups and the Internet had reduced the interval between an event and coverage of it to virtually nothing. In 1999, on an expedition that made the first ascent of the northwest face of Pakistan’s Great Trango Tower, an unseen line was crossed. A highly visible, remote objective matched with a reported sponsorship budget of $50,000, a full camera crew and daily Web updates from the climbers on the wall (via an elaborate system involving a satellite linkup from base camp) drew the ire of the wider climbing community. Mark Synnott, one of three climbers on the expedition, said he came away from the experience conflicted. “It was a necessary evil,” he said of all the media. But without the computers and cameras there would not have been an expedition, and without the expedition there would have been no new cutting edge route on the tower. “The idea is pretty cool if it can be done the right way,” Synnott said. 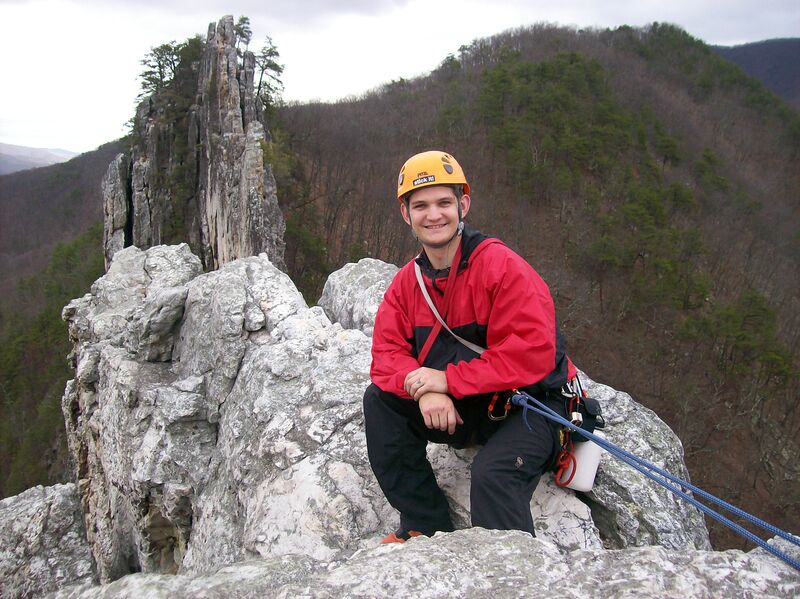 Zack Smith, a climbing partner of Ozturk’s and a world-class Alpinist in his own right, said he had rejected the trappings of professional climbing, sponsorship and documentation of his climbs. 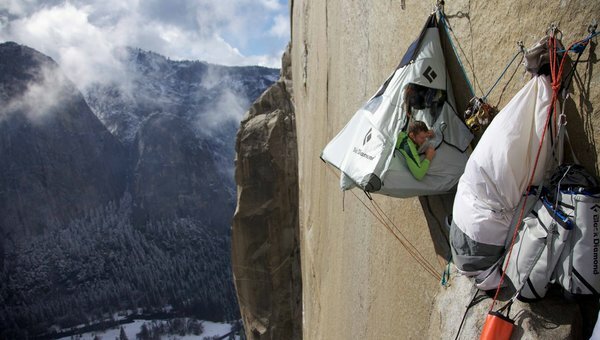 Up on El Capitan, Caldwell’s camp sat high above a busy loop road in Yosemite National Park. He had cellphone reception. Full bars. 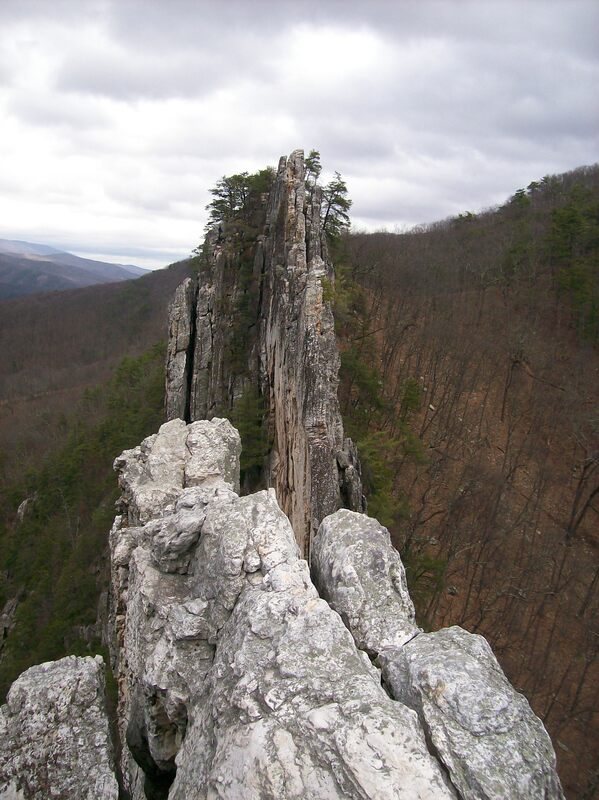 The cliff is perhaps climbing’s most public sphere. In high season thousands of tourists a day scour the walls for the tiny specks creeping their way up its oceans of granite. Before an injury forced him off the wall, Kevin Jorgeson, 27, was Caldwell’s partner on the route. 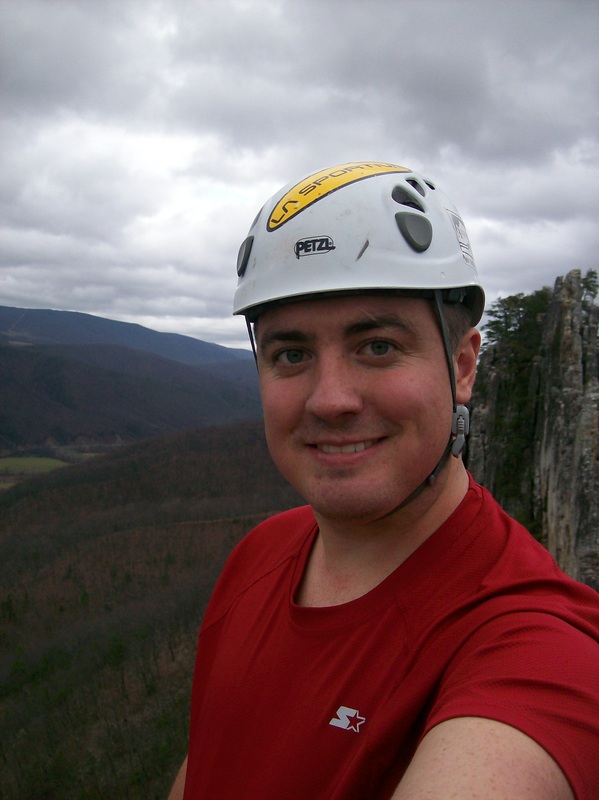 He began posting updates from the route via Twitter in 2010. Caldwell was skeptical at first, but came around. Last year, facing a large snowstorm, Caldwell and Jorgeson posed a question on a message board on a climbing Web site, to see if their hanging camp would be bombarded by falling ice after the storm cleared, making it too dangerous to stay. Out of hundreds of responses, a few people with experience on the wall after a storm explained that their camp was unprotected from above and would be showered with dangerous chunks of ice. They retreated the next day. -Story from the NY Times, can be accessed here. I spent some time thinking about what the article is saying; I’m thankful that the author did not actually take a side on the “document vs. don’t document” argument. I don’t think this is a black and white issue, but I also don’t think its as big an issue as people are making it out to be. Ultimately, I think this issue comes down to personal choice. 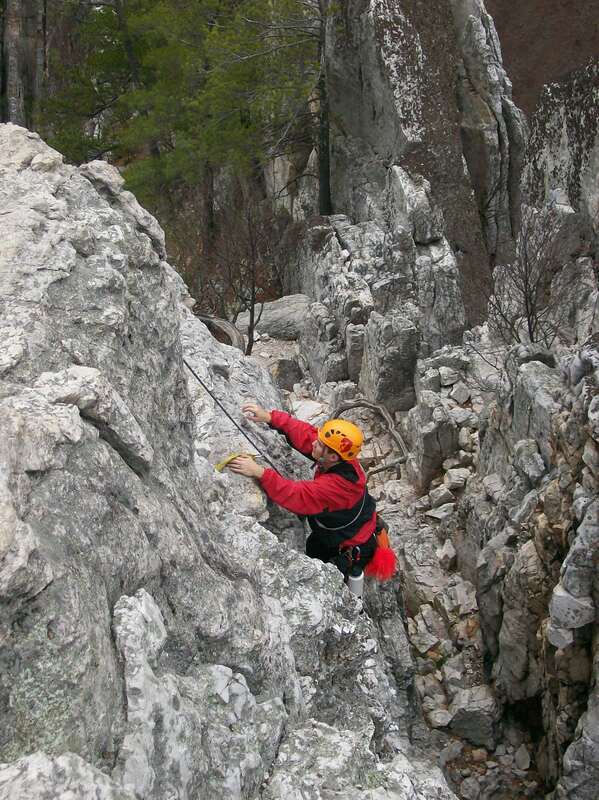 When I climb or enjoy the outdoors, one of the things I enjoy about the experience is that I can get away from electronic communication and be unreachable for a short amount of time. We live in a world where constant communication is the status quo, and personally I find escaping from that system to be both personally necessary and very fulfilling. While I do maintain this blog and share my experiences here with photos and text after the fact, I don’t want to sit out on a belay stance somewhere and give live updates. That said, bear in mind that climbers like Tommy Caldwell are in a very different place than me. 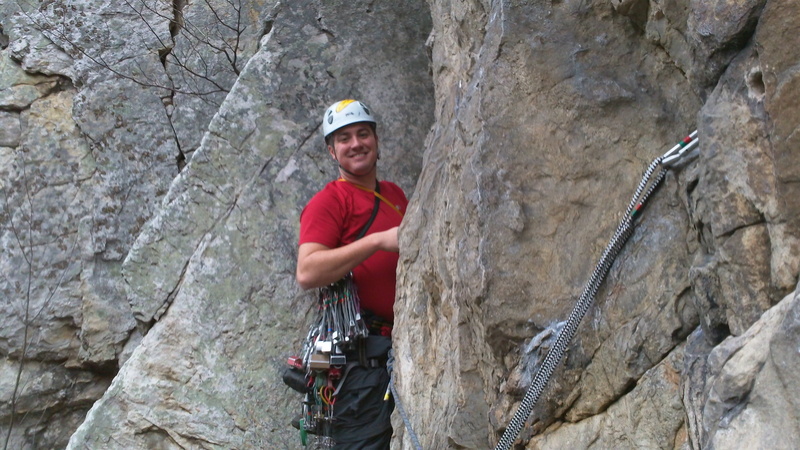 For Caldwell, climbing is his job (though it is obvious how much he also loves it; lucky…), and he is under contract to his sponsors to give updates on what he is doing. I also don’t believe that documenting a climb or an ascent detracts from the feat per se; I would say instead that up to the minute documentation detracts from the climb for some climbers. Also, I don’t accept the “purity” argument, as it is incredibly subjective. Today, we accept all sorts of aids as “pure,” many of which were seen as cheating by past climbers. Ropes, for instance, were seen as “not sporting” by Victorian British climbers. If you wanted to climb a mountain in those days, you did it on your own skill; if you fell, you died, and you were obviously not equal to the task. That was “fair” climbing. Today, there are very few who have moral qualms about roping up. My point is this; if you feel that documentation of a climb would detract from the experience for you, then don’t document! But don’t whine when others don’t share your opinion, and decide to provide updates in the manner of Caldwell and his partners. Its a personal choice folks, and browsing through the comments on Caldwell’s Facebook page, most of the climbers who read the article would agree. This is going to be a bit of an atypical blog post for me and this blog… Instead of talking about my latest adventure, I will instead give you a Bean update, and then talk about baby stuff for a bit. Mel, Bean, and I had a check-up today at the midwife’s. Bean is doing very well. We got to hear the heartbeat again, which was very exciting. The nurses and midwives always seem really surprised when they hear the baby’s heartbeat, and always say “Wow, you have a very active baby!” Well, he/she gets it honestly! We’ve also been looking at outdoor baby stuff. We’ve already found the baby pack we want. Before we were even expecting, we discovered the Deuter Kid Comfort II pack when we visited Asheville with my family. 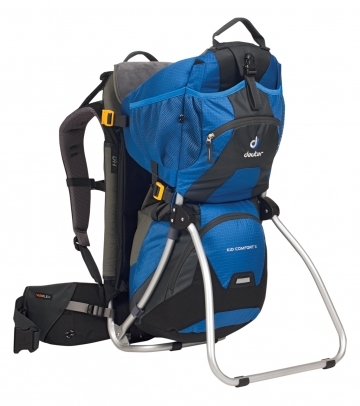 We really like the fact that it has a really good packframe and a very very comfortable suspension system. Basically, carrying this thing will feel a lot like carrying our backpacking packs or my climbing pack, except that a) the pack will contain a passenger, and b) the passenger will be squealing, giggling, and throwing its weight around. We’re already saving up for this! We’ve also discovered a retailer of maternity outdoor clothing. Mountain-Mama.com, with its patented “Belly-glove” technology (I’m not making this up). 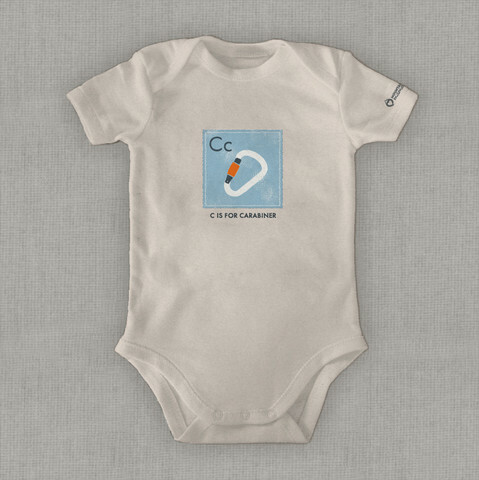 We’ve found some really cool stuff on it, including children’s clothing with outdoor-themed alphabet stuff (“C is for Carabineer”); needless to say, we will (hopefully) be outfitting Bean with some of this quality (and very stylish) apparel. Also, more exciting news! The end of my time as a full-time, professional lifeguard is near! I talked to the head of the Massanutten Ski Patrol, and will be moving to the ski slopes aid room full time starting after Dec. 18. No more bright red shorts! On Monday, I was finally able to get back to Seneca and climb again. Josh visited (up from Roanoke), and we were able to snag a nice day (by “nice” I mean “not raining”). You can read Josh’s sermons each week at his blog! We climbed six pitches for about a 600 foot elevation gain. We went up Skyline Traverse, followed by Old Ladies Route. The day was a huge confidence booster for me, as it was the first time I’ve climbed a multi-pitch at Seneca a) by myself (as in, without my dad), and b) where I’ve done all the leading. When we did the same routes with my sister Mary, I had dad led the second pitch of Skyline as I was a bit intimidated by the first step. On Monday, I took a deep breath and was able to muscle through it. Josh did great! We both agree that the first step of the second pitch of Skyline wakes you up! 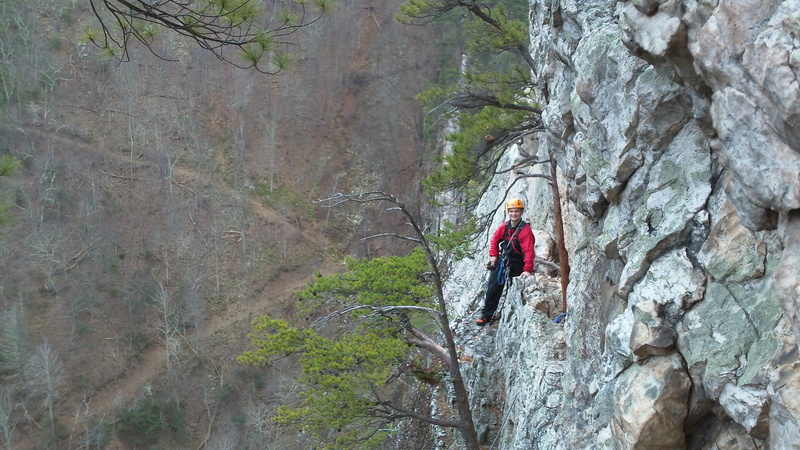 We did discover that we need to work on the rope management/rappel efficiency side of things. 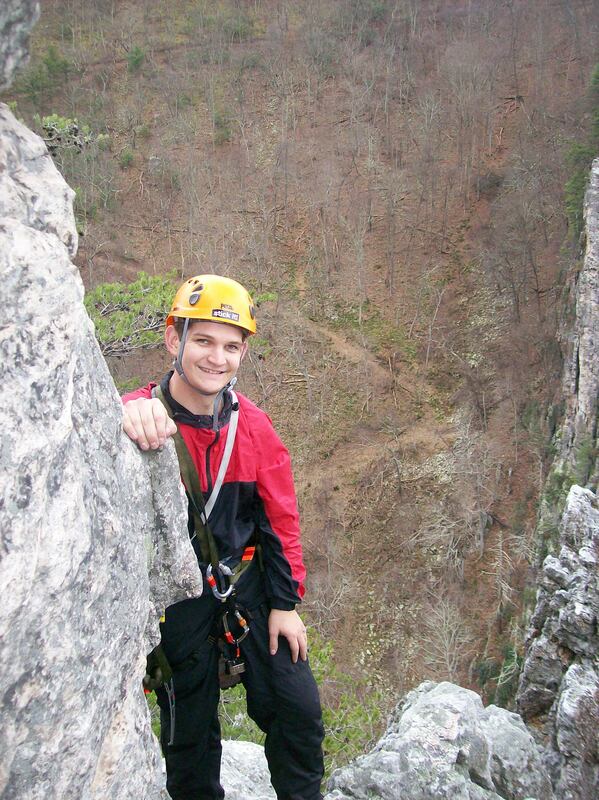 I think keeping the rope straight and untangled during the rappel was honestly the hardest part of the day. This spot isn't very dangerous, but it is exposed! On lead, looking relieved right after the intense first step at the start of the second pitch. 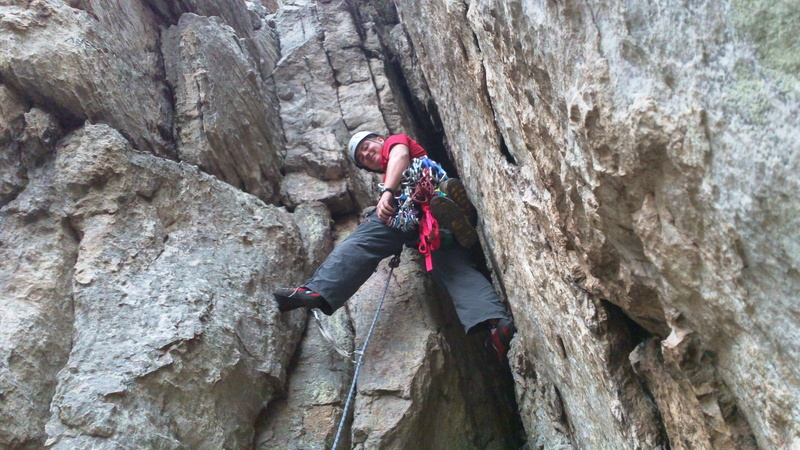 Josh approaches the second belay ledge on Skyline Traverse. Starting up the third pitch of Skyline Traverse. Josh on the traverse (second pitch) of Old Ladies Route. The final scramble up the fixed line to the summit! The north peak from the south peak. What a great day to be in West Virginia! Josh, the Climbing Circuit Rider, on the south peak. I just had to get a self shot. Hey, La Sportiva, you should give me some free stuff!